Our Halloween was filled with candy, candy and more candy. 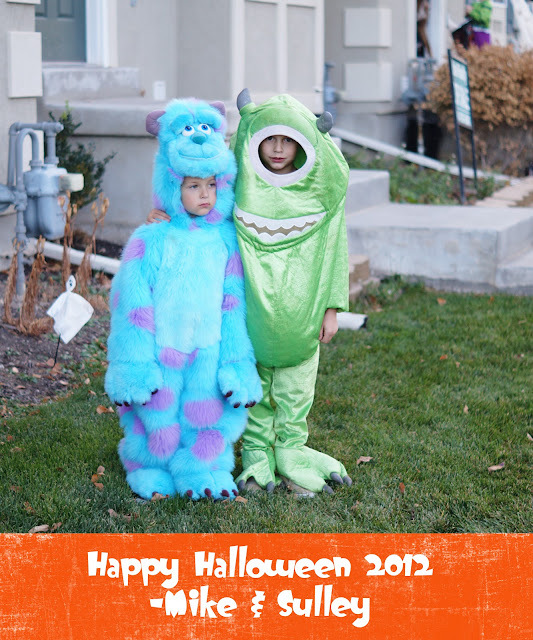 The boys dressed up as Hulk and Captain America for school and then they were Sulley and Mike Wazowski from Monsters Inc. when they went trick or treating. Between some small toys and candy, we had close to 200 pieces. We ran out in just over an hour. Hope your Halloween was just as fun and sugar filled as ours!